In his first speech on 2 October 1974, Bessell discussed two topics ‘of great concern’ to him and his home state: Bass Strait shipping, and rural industries. While concerned for the state as a whole, he spoke most often about the part of Tasmania that he knew best—the North-West Coast. A question about the National Employment and Training Scheme dealt with the scheme’s impact on Stanley, while another, on the Australian Assistance Plan, related to expenditure in the electorate of Braddon. In speaking to the Air Navigation Bill in 1974, he localised the debate by discussing the bill’s likely impact upon the North-West Coast. Unusually for a Commonwealth parliamentarian, he was deeply interested in King Island, raising questions about farming and water reticulation, and the small island’s aerodrome. Eric Bessell could well have been dubbed ‘the Senator for the North-West Coast and King Island’, so focused was he upon this part of the state. Bessell was a firm supporter of the Senate. Endorsing the ‘checking’ role of the upper house, he highlighted the proportionately high representation that the Senate provided to a small state like Tasmania. He suggested that the 1974 election outcome showed that the people of Australia had used their vote to deny the ALP a majority in the Senate. Mounting tension between the Whitlam Labor Government and the Opposition during 1974 and 1975 did not deflect Bessell from his course. While most of Bessell’s Liberal–Country Party colleagues were preoccupied with the political and constitutional issues that would soon result in the downfall of the Government, his attention was focused on the Dairy Adjustment Bill of 1974, and, in 1975, the Pig Slaughter Levy Bill, the Dairy Produce Bill and the King Island Shipping Service Agreement Bill. Liberal senators Alan Missen and Kathy Martin, later Sullivan, would mention, with appreciation, Bessell’s deep knowledge of rural matters. Bessell spoke often, at times agreeing with the Minister for Agriculture, Senator Wriedt, on matters such as the establishment of a floor price for wool. Bessell’s contribution to the Loan War Service Land Settlement Bill in June 1975 was notable for its inclusion of a detailed history of the land settlement scheme, based on extensive research and a sound understanding of the scheme. Gradually, he was drawn into the impending political crisis. Bessell was worried by his party’s moves to destroy the Government by denying the passage of supply. On 25 October 1975 he attracted national attention by giving an interview on ABC television, during which he declared he would not vote to reject supply, and stating that he favoured deferral of the vote, subject to the Government calling an election. He believed that there were other Liberals who shared his view. In November he named Liberal Senate colleagues Martin, Missen, Don Jessop and Peter Baume as others who were extremely concerned that the Government might require them to vote for outright rejection of the appropriation bills. Elsewhere, Bessell said that he ‘would not even have voted for deferment’, had it not been for the forced resignation of the Minister for Minerals and Energy, Rex Connor, over the notorious ‘loans affair’. Irrespective of the tensions of the time, Bessell remained single-minded about the community and subjects that mattered most to him. When he rose to speak during the debate on the appropriation bills on 29 October, he confounded the packed press gallery by ignoring the great issues of the day to discuss the Government’s ‘manifest failings’ in dealing with ‘the problems of the Tasmanian potato industry, especially pertaining to the importation of enormous quantities of frozen French fries’. Bessell’s public stand against the rejection of supply had immediate political repercussions. Though he and the other doubters have been described as a ‘tiny minority in a situation where the logic of the political climate was against them’, their stance provided ammunition to political enemies. Prior to the election following the double dissolution of November 11, as Whitlam campaigned around the country, he reputedly quoted Bessell ‘with relish’. Bessell’s Tasmanian colleagues took their revenge by preselecting him in the sixth position on the Liberal ticket—a position that seemed certain to bring about his defeat. ‘He’s last on the ticket but first for Tasmania’ was the sardonic note on his campaign advertisements. Bessell secured the fourth highest individual Liberal vote in the state, but fell just short of winning the final Tasmanian seat. His parliamentary career over, he returned to his farm at Rocky Cape, continuing to work for his party, and selling insurance on a part-time basis. In 1976 he unsuccessfully attempted to win a Braddon seat in the Tasmanian House of Assembly. While walking about his property, Bessell collapsed and died on 10 March 1979. After a service at the Uniting Church, Wynyard, he was interred at Wynyard Lawn Cemetery, survived by his wife and children. A cousin, Bert Bessell, was a Tasmanian MHA from 1956 to 1976. 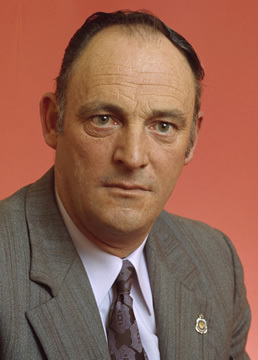 The senator from Rocky Cape was one of the victims of the 1975 crisis. Visibly disappointed by his demotion on the party ticket, a shaken Bessell had bitterly noted that ‘it does not pay to be too honest in politics’. Family members later claimed that shabby treatment by the party in whose service he had worked so loyally contributed to his early death. Personal information from Bessell’s brother, Ivan Bessell, Rocky Cape, to author, 15 Feb. 1998; Advocate (Burnie), 2 May 1979, p. 32; Bessell, Eric James—Defence Service Record, B883, TX11988, NAA; Tasmanian Farmer (Hob. ), 23 Aug. 1956, p. 10; Returned Sailors’, Soldiers’ and Airmen’s Imperial League of Australia, Tasmanian State branch, Annual reports, 1960–65; Liberal Party of Australia, Tasmanian division, Annual meetings of state council, 1967–71; Liberal Party of Australia, Reports of 25th, 26th and 27th meetings of the Federal Council, 1971–73. CPD, 2 Oct. 1974, p. 1613, 26 Aug. 1975, p. 210, 7 Oct. 1975, p. 945, 28 Nov. 1974, pp. 2962–5, 20 Aug. 1975, p. 65, 2 Sept. 1975, p. 411, 17 July 1974, p. 195, 20 Mar. 1979, p. 721. Mercury (Hob. ), 3 Sept. 1974, p. 9; CPD, 10 Dec. 1974, pp. 3310–12, 29 May 1975, pp. 2049–51, 12 June 1975, pp. 2649–52, 10 Dec. 1974, pp. 3336–8, 20 Mar. 1979, p. 722, 2 Oct. 1974, p. 1616, 10 June 1975, pp. 2423–8. ABC, Four Corners program, Transcript of interview between Bessell and Peter Ross, CPL, pp. 1–6; Paul Kelly, November 1975, Allen & Unwin, St Leonards, NSW, 1995, pp. 111–13, 171, 237–9; Nation Review (Syd. ), 7–13 Nov. 1975, p. 88; Mercury (Hob. ), 25 Oct. 1975, p. 2; Bulletin (Syd. ), 8 Nov. 1975, p. 12; CPD, 29 Oct. 1975, pp. 1581–2. Paul Kelly, The Unmaking of Gough, A & R, Sydney, 1976, pp. 254–5; SMH, 27 Oct. 1975, p. 8; Alan Reid, The Whitlam Venture, Hill of Content, Melbourne, 1976, p. 377; Mercury (Hob. ), 17 Nov. 1975, p. 1; Advocate (Burnie), 18 Nov. 1975, p. 3; Mercury (Hob. ), 12 Dec. 1975, p. 23, 12 Mar. 1979, p. 6; Personal information from Bessell’s daughter, Christine Hingston, Smithton, 15 Feb. 1998. Mercury (Hob. ), 17 Nov. 1975, p. 2; AFR (Syd. ), 18 Nov. 1975, p. 9; Personal information from Christine Hingston. This biography was first published in The Biographical Dictionary of the Australian Senate, vol. 3, 1962-1983, University of New South Wales Press Ltd, Sydney, 2010, pp. 174-176.